Mark D. Copoulos, Esquire is a Philadelphia criminal defense attorney. He may be able to assist you in filing a motion to lift detainer. Mark Copoulos has represented hundreds of clients charged with violations of probation. In some cases these violations are direct violations (i.e., new criminal charges). In other cases these violations are indirect or technical violations (e.g., positive drug tests, failure to report, etc.). Direct violations are usually more serious than technical violations. It follows that it may be more difficult to lift a detainer for a direct violation than an indirect or technical violation. Attorney Copoulos has lifted detainers arising from both direct and indirect violations. His strategy is to immediately file a motion to lift detainer. This triggers a court date with the defendant’s back judge. The court date is the first and best opportunity to get the defendant out of prison. If this motion is not filed, the courts will wait months or even years before the new case is disposed to address the detainer. Call Mark D. Copoulos at 267.535.9776 for a free consultation to discuss lifting your detainer. Consider that many judges will lift detainers where the defendant has only an indirect violation or a direct violation where the new offense is a non-violent misdemeanor. In a case where the defendant has picked up new felony charges, more work may be required, or the defendant may want to consider resolving the open case before appearing before the judge. 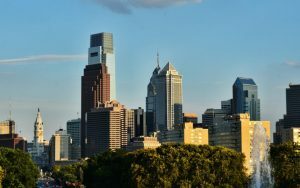 Speak with a Philadelphia criminal lawyer for a personalized analysis of your own case. Every case is different and more information is needed to accurately assess the likelihood of lifting you or your loved one’s detainer. Call our office to discuss particulars. In order to lift a detainer, it is important to understand its basic function. A detainer is essentially a “hold” on a defendant’s ability to be released even if he posts bail. It is the back judge ordering that the defendant remain in custody until he answers for the probation violation. For example, if a defendant is arrested for Terroristic Threats while on probation, and he posts his bail of $500.00 he will not be released. The prison will hold the defendant on a detainer until his back judge (the judge for whom he is serving probation) lifts his detainer and addresses the probation violation. It follows that a defendant may sit for months or even years, if he does not hire an attorney to file a motion to lift detainer. In the above example, it may be relatively easy to lift the defendant’s detainer or file a Pa. Crim. Pro. Rule 701 consolidation to get the defendant out of prison. A 701 consolidation may be appropriate in certain cases where lifting a detainer is unlikely. It should be noted that the courts are inherently conservative institutions. Accordingly, it is their policy to “wait and see” what happens with new cases before addressing the detainer. If a defendant beats the open case then he may be released without a hearing. If the defendant does not beat the case, he is now facing two violations (the arrest and subsequent conviction), and may be sentenced to incarceration or additional probation. This is another reason why it is so important to litigate the motion to lift detainer. If the detainer hearing is litigated before the disposition of new criminal charges, the defendant may be able to show the judge he should remain in society through his good acts. For example a defendant who enrolls in rehabilitative classes and starts performing community service may stay on the street even if subsequently violated. Thank you Mark for everything you have done for my family. My husband and I hired Mark 3 years ago for my oldest daughter who was falsely arrested by her ex-husband, Mark worked with us and represented my daughter who was found not guilty on all charges and worked until the record was cleared. I have to say his customer service is outstanding! -T.N. Unfortunately, only an attorney can file a motion to lift detainer. A defendant’s family members cannot file the motion on his behalf. Additionally, if the defendant attempts to file the motion pro se, the court will likely wait until disposition of the new matter until hearing the motion. This effectively renders the motion to lift detainer a moot issue. A defendant who files a motion to lift detainer by himself is essentially scheduling a motion for a violation of probation hearing. Therefore, the best way to quickly and expeditiously get in front of a back judge for a detainer hearing, is to hire a lawyer to file the motion. Our office files detainer motions at reasonable rates and has an excellent track record of success. The attorney you hire takes the motion directly to the defendant’s judges courtroom. In court the judge or his court staff gives a date for the hearing. The attorney can then report back to the defendant on the date for the hearing. In many situations, it is well before the defendant’s next court date for his open matter. Mark Copoulos always obtains the earliest possible date “EPD” to see a defendant’s back judge. This expedites the hearing and ensures the court will give attention to the defendant sooner rather than later. GET THE DETAINER LIFTED BY AGREEMENT? In most cases, it makes sense to speak with the District Attorney concomitantly to filing the motion. If the defense attorney can get the DA to agree that the detainer should be lifted, the judge may not even address the motion to lift detainer. The judge will simply grant the motion without a hearing, and the defendant will be released provided he can post bail. If the DA and criminal lawyer cannot agree to lift the detainer, the judge will have a hearing. At the hearing, the defense attorney should present evidence of mitigation, including but not limited to, defendant’s employment record, willingness to get treatment, familial support, and readiness to fight the new criminal charges. Watch my YouTube video for considerations on lifting a detainer. Obviously, the defendant’s argument at any detainer hearing is going to be individualized based on the particular facts of your case. Call Mark Copoulos to speak about the best arguments to present at your detainer hearing. 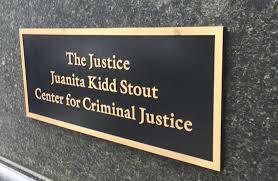 Our firms has won countless detainer hearings in front of many judges. The Law Office of Mark D. Copoulos points with pride to Commonwealth v. S.R.. In that case the Defendant was arrested for Receiving Stolen Property and Theft by Unlawful Taking, while on probation for Possession With Intent to Deliver. The Defendant’s wife contacted Mark D. Copoulos to file and litigate a Motion to Lift Detainer. Copoulos contacted S.R.’s place of employment and obtained proof that if released, Defendant would start work next Monday. He then obtained a detainer hearing within five days of being retained. The Common Pleas judge accepted Defendant’s representations and ultimately lifted the detainer. After the detainer was lifted the defendant was released the same day from prison at approximately 10PM. Reunited with his family, Defendant reported to work the following Monday. Similarly, in Commonwealth v. J.K., the Defendant was arrested for Aggravated Assault while on probation for a domestic violence case. While Copoulos expressed his skepticism in getting the detainer lifted quickly, Defendant’s girlfriend expressed her willingness to be patient and attempt to try to lift the detainer. Copoulos waited until the complaining witness failed to appear twice in the open matter. He then obtained a court date and litigated a detainer hearing before Defendant’s back judge. The complaining witness in the open case showed up to court at the Hearing and asked the back judge to lift the detainer. 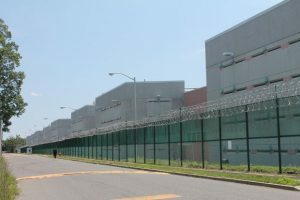 The Court accepted the complaining witnesses representation that the charges were either greatly exaggerated or altogether fabricated, and the defendant was released from Curran-Fromhold Correctional Facility the same day. The subsequent case was dismissed shortly thereafter when the complaining witness refused to appear or cooperate. Finally, in Commonwealth v. D.A., the Defendant was arrested and charged with Possession With Intent to Deliver. He was on probation for Possession with Intent to Deliver. While his probation officer did not originally order that he turn himself in, wanted cards were placed for his arrest following his second court hearing. Defendant was then arrested and placed in prison pending the outcome of his new matter. Copoulos knew a motion to lift detainer would be futile given the defendant’s criminal history and probation officer. Instead he filed a Pa. Crim. Pro. 701 consolidation in front of Defendant’s back judge. Similar to a motion to lift detainer a 701 consolidation triggers a court date. Instead of resolving only the detainer, the consolidation resolves all open matters before the back judge. Copoulos then negotiated probation on the open case, and defendant was sentenced to probation for his violation. Accordingly, defendant was released after mere weeks in custody for a new felony offense. If you are about to turn yourself in on a detainer, consider that Mark D. Copoulos takes detainer hearings personally. He visits all of his clients in prison within twenty four to forty-eight hours of being retained. Rest assured that he will be speaking with you to discuss the best way to approach lifting your detainer and resolving this matter. Mark Copoulos will also speak with your probation officer if relevant to the detainer hearing. Your probation officer may provide insights into whether the hearing will be hotly contested or disposed easily in your favor. This information can be crucial in assessing the likelihood of lifting the detainer and the level of resistance. At all times it makes sense to get the probation officer to support lifting the detainer wherever practical. The Philadelphia criminal defense attorneys at Law Office of Mark D. Copoulos can assist you with lifting a detainer. Mark Copoulos has represented thousands of clients in helping them get detainers lifted. A detainer is issued when a defendant violates their probation. The violation can be a technical (e.g., positive drug tests, absconding from probation) or direct (new and unrelated criminal charges) violation. If the defendant picks up a new case while on probation, the judge will issue a detainer. This detainer will remain in place until the judge addresses the probation violation. Whenever a defendant picks up a new case, the Court waits to address the detainer until the new case is resolved. The exception to this rule is when the defendant through his attorney files a motion to lift detainer. When the defendant’s attorney files a motion to lift detainer, the court reviews the probation violation before disposition of the new criminal charges. This may be the defendant’s best opportunity to be released from prison, especially if he is facing serious charges on the open matter. In the motion the defendant should state the reasons for why his detainer should be lifted. This may include lost employment opportunities while in prison, familial support, or any other number of reasons. If the detainer is lifted, the defendant need only post his bail to be released from prison. A defendant arrested while on probation cannot be released without first appearing before his “back” judge. For this reason you may want to wait to pay bail until the detainer is lifted. On the other hand if you do pay bail and the detainer is then lifted the defendant will not have to wait until bail is posted to be released. The defendant will be released on the same day the detainer is lifted. Mark Copoulos believes that every citizen of Philadelphia deserve access to legal representation. He offers free consultations to all citizens of Philadelphia. He offers payments plans and reasonable rates. If you or a loved on is sitting in prison on a detainer, Contact the Law Office of Mark D. Copoulos for a free no-obligation consultation. We will advise you on strategy to get the detainer lifted, and if retained visit the defendant in prison to best strategize how to approach the case. Finally, after case strategy is discussed Copoulos will draft a motion to lift detainer. He will then file a final version of the detainer motion with the clerk of courts and the judicial court staff. Do not settle for an attorney who will not promptly attack a lodged detainer. Call an aggressive attorney to fight the lodged detainer, and get the defendant out of prison.